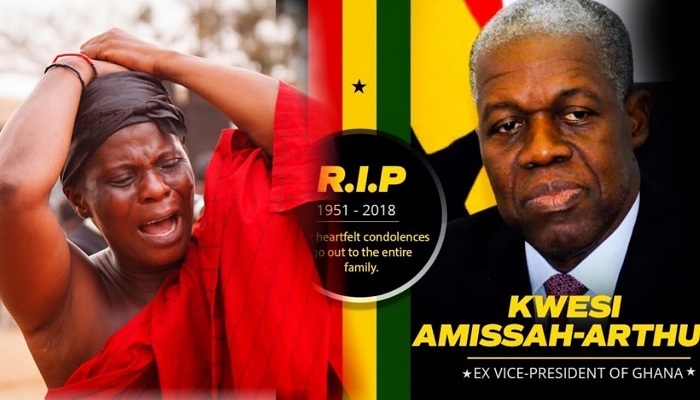 Ghanaians from all walks of life are paying their last respect to the late former Vice President Paa Kwesi Bekoe Amissah-Arthur at the foyer of the Accra International Conference Centre. The late former Vice President died on Friday 29th June 2018. His funeral service is being held today, Friday, July 27, 2018 from 0900 hours to 1200 mid-day at the main auditorium of the Accra International Conference Centre. This would be followed by his internment at the new Military Cemetery at Burma Camp. Among the high profile personalities, who have so far filed passed the mortal remains of the late former Vice President were his mother, madam Maa Efe Amissah-Arthur; the Vice President, Dr Mahamudu Bawumia; Dr Henry Akpenamawu Kofi Wampah, a former Governor of the Bank of Ghana; and Reverend Samuel Kofi Osabutey, the Bishop, Accra Diocese of the Methodist Church Ghana. Mr Harunah Iddrisu, Minority Leader in Parliament, led a delegation of the NDC MPs to pay their last respect to the former Vice President. 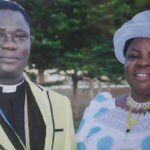 Rev Osabutey said the late Amissah-Arthur was a committed member of the Methodist Church of Ghana. He described the late former Vice President’s as honest and an exemplary leader. Meanwhile, the Vice President, Dr Mahamudu Bawumia has announced government’s decision to rename the Moree Senior High School after Mr. Paa Kwesi Amissah-Arthur to immortalize the late vice president. The second cycle institution is located within the hometown of the former governor of the Central Bank.